Occupational therapy is the only profession that helps people across the lifespan to do the things they want and need to do in their everyday life. Occupational therapy practitioners enable people of all ages to live life to its fullest by promoting health, wellness, and quality of life. Occupational therapy practitioners have a holistic perspective, where the individual is the center of the therapy team. Occupational therapy is an evidence-based profession. 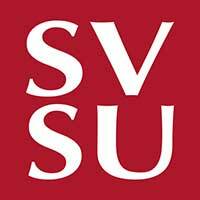 When you join the Occupational Therapy program at SVSU, you receive an education that prepares you to be an entry-level practitioner. Our MSOT Program is fully accredited by the Accreditation Council for Occupational Therapy Education, which gives you confidence in your education. Your Cardinal story of success begins when you apply. SVSU is the leading OT Program in the region, and prepares MSOT students in a variety of settings including: hospitals, rehabilitation centers, schools, mental health facilities, outpatient rehabilitation clinics, and more. As a Pre-OT student, you will be required to take General Education and pre-professional courses prior to applying to the MSOT program. For additional details on those requirements, you can explore the Pre-OT program. Once accepted to the MSOT program, you will focus on evidence-based, entry-level skills that will advance your confidence in practice. SVSU knows your innovation has the power to transform the industry of health care. That’s why we require every MSOT student to conduct research and complete a Capstone Project prior to graduation. Our newly constructed Health & Human Services building enables faculty to train students in our state-of-the-art “Activities of Daily Living Suite.” Those living classroom experiences, combined with clinical immersion, will advance your career. For additional details, explore more of the department’s opportunities. Our graduates work in a number of fields and contexts. From experts in oncology, neurology and rheumatology to professionals who specialize in post-traumatic stress, trauma or substance abuse. Some of our graduates thrive in the energy of a hospital and others gravitate towards home health. Whatever your preference, our faculty will prepare you to enter the workforce with confidence. THE OCCUPATIONAL THERAPY PROGRAM IS ACCREDITED BY THE ACCREDITATION COUNCIL FOR OCCUPATIONAL THERAPY EDUCATION (ACOTE) OF THE AMERICAN OCCUPATIONAL THERAPY ASSOCIATION (AOTA), LOCATED AT 4720 MONTGOMERY LANE, SUITE 200,BETHESDA, MD 20814-3449. ACOTE’S TELEPHONE NUMBER,C/O AOTA, IS (301) 652-AOTA AND ITS WEB ADDRESS IS www.acoteonline.org.